1977 - Eight more episodes of The Jacksons CBS-TV variety show were taped and broadcast in early 1977, but unfortunately by then the genre had burned itself out, and the show was canceled alongside its counterparts. The first of the new episodes, co-starring Redd Foxx, was broadcast on January 19, 1977. 1980 - Rock With You become the Off The Wall album's second #1 single, reaching the top of the pop singles chart the week of January 19, 1980 and remaining for four weeks. Rock With You was also the album's second single to reach #1 position on the black singles chart. Rock With You isn't as fast paced as Don't Stop, but the beat is definitely just as infectious. 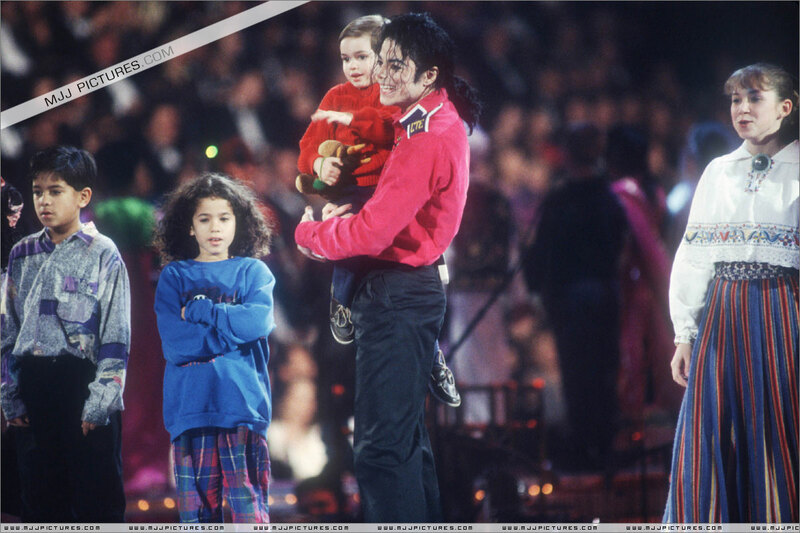 1993 - Michael performs Gone To Soon and Heal The World at "An American Reunion" the 52nd Presidential Inaugural Gala held in Washington, DC. He walked through the crowd to the stage dressed in black pants and a red military style shirt, with his hair pulled back in a ponytail. He first addressed the very soon to be new President on the need for continued and increased funding for AIDS research. Before performing song Gone To Soon, in memory of his friend, late activist Ryan White – who passed on due to AIDS – he speaks on White and their friendship, his immune system malady and on the necessity of supporting AIDS cure research by the incoming presidential administration: "Thank you, Mr. President elect, for inviting me to your inauguration gala. I would like to take a moment from this very public ceremony to speak of something very personal. It concerns a dear friend of mine, who is no longer with us. His name is Ryan White. He was a hemophiliac, who was diagnosed with the AIDS virus when he was 11. He died shortly after turning 18, the very time most young people are beginning to explore life’s wonderful possibilities. My friend, Ryan, was a very bright, very brave and very normal young man who never wanted to be a symbol or a spokesperson for a deadly disease. Over the years, I’ve shared many silly, happy and painful moments with Ryan, and I was at the end of his brief, but eventful journey. Ryan is gone, and just as anyone who has lost a loved one to AIDS, I miss him deeply and constantly. He is gone, but I want his life to have meaning beyond his passing. It is my hope, President elect, Clinton, that you and your administration commit the resources needed to eliminate this awful disease that took my friend... and ended so many promising lives before their time. This song is for you, Ryan." Michael then performed his anthem to his friend Ryan White, Gone Too Soon, his voice cracking with emotion at the last lines. Several children joined Michael on stage next for Heal the World, which he dedicated to "all the children of the world". 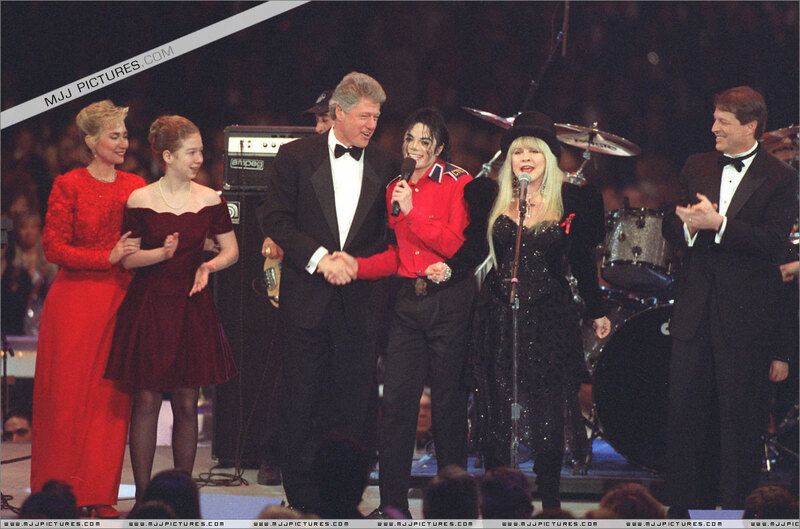 Michael later joined a specially reunited Fleetwood Mac and several other celebrities to sing Don't Stop (Thinking About Tomorrow). 2002 - Michael received the award as 'Best International Male Singer' at the NRJ Awards 2002, which just took place in Cannes, France. He did not attend the award show. This entry was posted on 19 January 2011 at Wednesday, January 19, 2011 and is filed under 1977, 1980, 1993, 1996, 2002 . You can follow any responses to this entry through the comments feed .